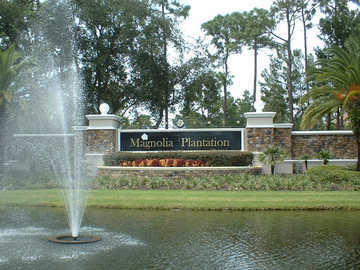 Just 20 minutes from downtown Orlando, Magnolia Plantation Golf Club provides a slightly secluded location that is still close to popular attractions. 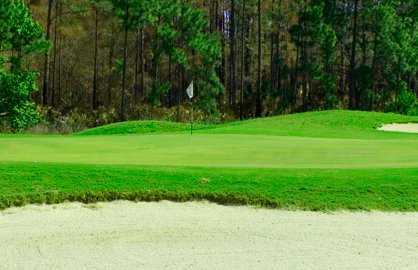 The golf course borders the Wekiva River wilderness area, providing a beautiful natural landscape and scenic views. Just 20 minutes from downtown Orlando, Magnolia Plantation Golf Club provides a slightly secluded location that is still close to popular attractions. 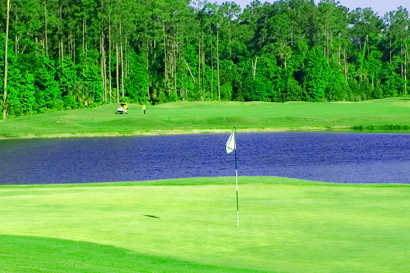 The golf course borders the Wekiva River wilderness area, providing a beautiful natural landscape and scenic views. The golf course features a parkland style layout with dramatic elevation changes, tree-lined fairways, and several multi-tiered, undulating greens. Water comes into play on 14 holes at Magnolia Plantation Golf Club and there are also strategically placed bunkers throughout. Natural outcropping of trees and ravines line each hole and guard the greens for extra challenge. Hardwood trees and native vegetation attract deer, blue herons, and wild turkey to the golf course, providing golfers with a chance to take in stunning wildlife scenery. 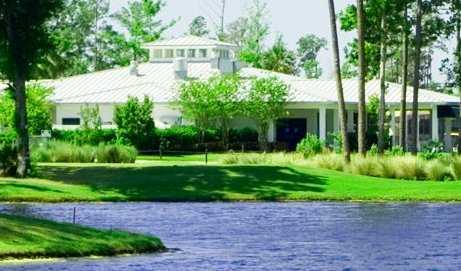 Golf school / golf academy: Yes - "Mike Bender Golf Academy"
Worst course in Central florida, its a shame to with timacuan, heathrow, mayfair, redtail, and alacua right next door the s place doesnt stand a chance, you can play here for 10 dollars that says it all. You cannot putt for there are no greens hole 11 literally has a hole in the middle of it lol, its unreal the conditions of this place please dont go there its a waste of time on top of all that its the hardest layout up in this area and its so unkept and just BAD BAD BAD. not worth playing even funny for free. The only thing good there was there head pro he actually cane up to us introduced himself chatted with us a bit and made us feel a little bit better. Probably the worse course we have played in a long time. Can't think of anything good to say about it. Conditions are extremely poor. We made the best of it, but wouldn't play it again for FREE. The course is under new owners so it could improve in a year or two.